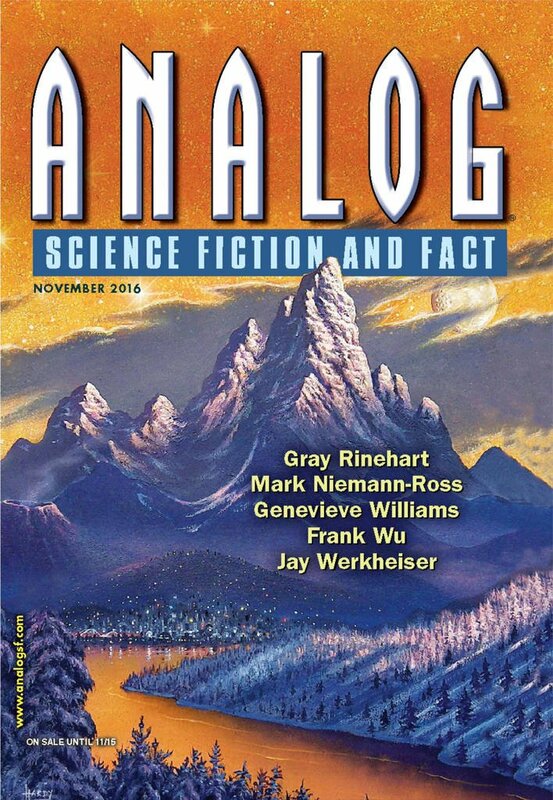 "We Side With the Free," by Gray Rinehart [bio] (edited by Trevor Quachri), appeared in Analog Science Fiction and Fact issue 11|16, published on September 22, 2016 by Penny Publications. Pro: Very dramatic, with lots of tension and a happy ending. Con: There are too many characters, and very little sets the apart from each other. Two men die, but we don't care because we're not emotionally invested. It's not at all clear why Earth would send a manned ship rather than an unmanned nuclear device to do this job. The latinate titles for the crew are strange and confusing. I like this story, but then I tend to like the classic space adventures from sixties years ago. This even had a cast composed exclusively of courageous, intelligent, honorable men willing to sacrifice themselves without hesitation for the good of the mission, which just increased the Campbellian charm. 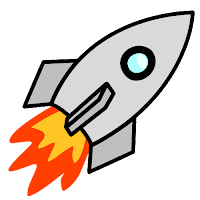 Of course, it also seems to indicate that even though we have been sending women into space since 1963, in the future we decide it must not be a good idea after all, which is a little sad. Or maybe the Solar Guard just has some really antiquated HR policies. Regardless, I can look past that when it comes to a rollicking, and more or less scientifically rigorous, space adventure. In regards to why this particular ship was sent, I think it was because they happened to be in an orbit, and have the supplies and know-how, that made it it possible for them to catch the asteroid. As far as the characters ranks go, the story did explain why they didn't want to use the more common military ranks. Of course, that doesn't explain why they would use Latin ranks of all things. I do agree on having too many characters though. Especially since I am nearly certain they all had identical blond crew cuts, liked baseball, and grew up on farms in the Midwest. Now that I think about it, they might all be Catholic as well. That would explain the Latin titles. Are Catholics really into Latin anymore? I thought that went out 50 years ago. I have the feeling the real truth is that the author was too lazy to make something up. I'm sure you realize I was kidding about the Catholic thing. Actually, my whole comment was a bit too snarky. I really did like this story, although I suppose I can't argue too strongly for it to receive more stars, since it was a bit old fashioned. I have noticed in your reviews you tend to ignore (or at least discount) the politics in the stories, and in the science fiction community generally. I think that is to your great credit. I appreciate that. I gave a bad review not long ago to a story that was essentially a revenge fantasy once you ignored the political message, and I got some flack from the author and his/her friends for having "missed the point."